Inspired by the life of Matthew’s father, The Tailor of Inverness is a story of the impact of war on ordinary people and families, a story of a boy who grew up on a farm in Galicia (Eastern Poland, now Western Ukraine) and became a tailor in Inverness, of how a life and an identity can be reconstructed. 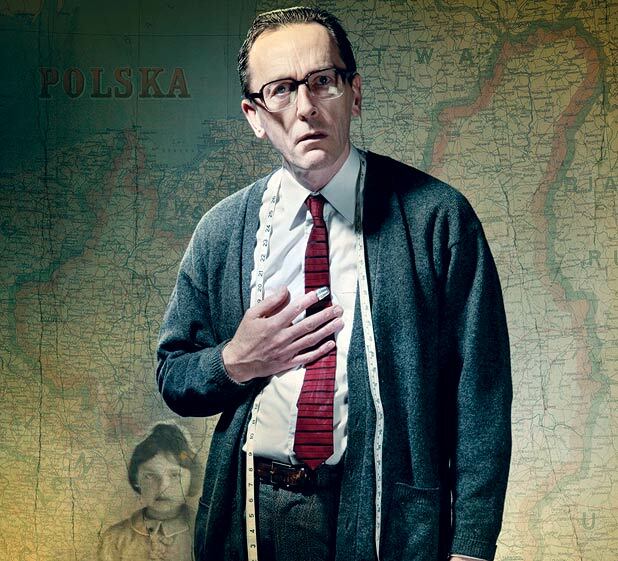 The tailor’s life spanned most of the 20th century, and the journey he took was made by thousands of Poles during the Second World War. His was a forced migration, subject to the brutal vagaries of war. Before settling in Scotland, he travelled and fought throughout Europe, the Soviet Union, the Middle East and England. In a new country, he became a new man and integrated himself into the fabric of life in the Scottish Highlands. This is the story he told. But there is another story, and perhaps a third and a fourth one, for in order to survive, he had to adopt different identities. Like all immigrants, the tailor had to adapt and he did that very successfully. He made clothes for thousands of people, including his son, constructing the outward trappings which play a part in defining who we are. This man’s story is not straightforward. He was one of millions whose fate was determined by massive upheavals over which he had no control. But was he really who he said he was? Crossing the borders from Ukraine to Poland to Russia to Iran to Egypt to Italy to Germany to Scotland, this extraordinary production tells the story of the tailor’s life and his son’s discoveries about his father through music, poetry, theatrical imagery, storytelling, moving and still video projections, costume and choreography. Audio and video material made on a series of research trips in Poland and Ukraine is incorporated into a detailed overall design. Live violin weaves its way evocatively through the piece, with traditional and original songs and tunes from Scotland, Poland and Russia.